JACK SEABORN WILCOX'S ANCESTORS AND DESCENDANTS From *Thomas Wilcox (Wilcock) & Mary (Circa.1790) including Jack's father, George Seaborn Wilcox (1873 -1915) until the death of Jack's mother Constance Navena (Venie) Wilcox (1932), George Seaborn's wife. * Sidney Wilcox in his notes to Alan Wilcox said our earliest known ancestor was a Joseph Wilcocks & a Jennings woman but documents show that it was Thomas Wilcocks and Mary (surname unknown) and that he was a tanner not a tailor. From the earliest known up to the death of Constance Navena Wilcox (Venie), George Seaborn's wife. The name "Villon" gradually became corrupted or Anglicised to "Willox"," Willcocks", "Wilcox". 1770 Australian History Captain Cook claims Australia for Britain. early last century by W. Barker, tailor and clothier, who emigrated to Australia. 1777c Thomas Wilcocks (Wilcox),Born in St. Neots, England, a currier/tanner/ felmonger, married Mary (unknown surname), England. The story that he married a Jennings woman is unproven. 1804 First steam locomotive railway in London. 1813 Australian History- BlaxIand discovers a way across the Blue Mountains. 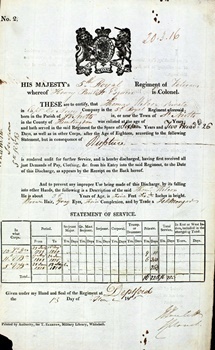 Documents now show that the father of Thomas, Joseph, Mary & William was Thomas Wilcocks, a fellmonger/currier/tanner, not a Joseph but as Thomas, William's father was a private soldier at that time it is possible that he served at Waterloo but it is unlikely that he was batman to the duke of Wellington. 1816 Australian History - Bank of New South Wales founded. 1817 Thomas Wilcox died. Burried at St. Mary Anglican Church, St. Neots. 1824 Australian History - Foundation of Brisbane. 1829 Australian History - Whole of Australia claimed as British territory. 1830 World History Notes Accession of William IV. 1830 Australian History - Act establishing trial by jury in New South Wales. Sturt explores the Murray to the sea. Perth founded. 1833 Australian History - 1833: Port Arthur opens as a penal settlement in Tasmania. Joseph was a tailor and woolen draper. 1834 Australian History - Act to establish Colony of South Australia. 1836 Australian History Adelaide founded. Lonsdale takes charge of the Port Phillip Settlement. 1837 31 Dec.Mary Wilcox snr. Died in St. Neots. 1837 Australian History Melbourne named. 1840 Australian History Order in Council discontinuing transportation to Australia. 1844 Dec. 8 Mary Wilcocks married John Busshell an inkeeper who had the Swan Inn with a mob of post horses and coaches in Leighton, Bedford. With the advent of the railway the inn drifted. 1850 Australian History Gold rush in Australia. University of Sydney founded. Western Australia becomes a penal colony. 1851 Australian History Separation of Victoria from New South Wales. 1854 Australian History The Eureka Stockade. 1856 Thomas (age 22) was the first to come to Australia, to Gawler in SA. a drunk and made things worse. 1858 George arrived in Melbourne by auxiliary steamer "Great Britain". George fired Thomas and Emery. He went into partnership with old Joseph. storekeeping business under the title of J and G Wilcox Merchants. the storekeeping business. “ - Quote from ? 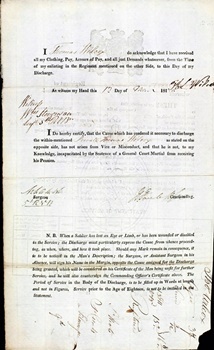 1864 George married Annie Fuller of Manor Farm, St Neots. 1864 George and Annie Wilcox on the first voyage of the ship "City of Adelaide" to Adelaide. 1868 Australian History - The last convicts are transported to Australia. 1870 Australian History - British troops withdrawn from Australia. 1872 Young Joseph bought the business from George. the intention of living there. 1872 Sept. George and Annie, with Edith, Sidney and Nellie, voyaged to England on the ship "City of Adelaide in cabin 2 round Cape Horn. The passage taking 140 days to Plymouth. 1873 Jan 28 or 30 George Seaborn born in Cabin 2, just off Scilly Isles on sailing ship "City of Adelaide". Birth registered at Stepney, England. 1874 George senior returned to Adelaide as he found the English climate too rigorous. 1874 end of May Annie and 4 children (George Seaborn and elder siblings Sidney, Edith and Nelly) They returned on the same ship (City of Adelaide) to Adelaide. On 24th August the ship went aground at Kirkaldy Beach (now Henley Beach). Passengers were floated ashore, with George (Snr) who had had arrived earlier by P&O Mail watching. George Seaborn went to school in Adelaide. Mofflin and Co established, and carried on until June 1889. 1876 Australian History The last full blooded Tasmanian aboriginal, Truganini, dies. 1881 George Snr. moved the family to “Eynesbury” at Lower Mitcham. of Messrs. George Wilcox & Co., and was the only clerk employed there at the time. 1887 Mr Sidney Wilcox entered the Adelaide branch. 1889 John moved to London. Company now called George Wilcox & Co.
George Seaborn, at age16, was put into the company, George Wilcox & Co. He boarded at "Chollerton" (Malcolm's Folly) at Darling Point, Sydney. He and brother Murray ventured into brick works at Bondi. (A failure). retired, and gave his share of the business equally to his two sons, George Seaborn and Murray Wilcox, who had joined the Sydney staff. 1897 Apr 13 Annie Wilcox died of heart trouble. 1898 "Okinya" built at Darling Point, Sydney. 1899 George Seaborn was the largest exporter of frozen lamb in Australia. to America for their honeymoon. 1900 Mr Mofflin acquired Mr Rickards’s interest, and traded until 1908 as W Mofflin & Co. In the same year he converted it into a limited liability company. factor in the total turnover of the South Australian interests of the company. 1904 World History Notes Ground Broken on Panama Canal. Rockhampton and Townsville, and established agency relations in W.A. 1905 World History Notes 1st Cars in Australia. 1907 The Torrens-side drying yard of the firm (Wilcox Mofflin Ltd.)was completely gutted by fire. Ventured into rural property “Bogalara” near Yass. Not a success. Sold at a loss. the ship "Beltana", (or "Mooltan"?) via Cape Horn, South Africa. family with continuous depression and worry of business and the war. 1915 July 14 or 15 George Seaborn died by his own hand. He shot himself and was found in the bedroom by Alan. He was buried in the family vault at Waverley Cemetery, Watson's Bay. 1915 July George Wilcox & Co was converted into a limited liability company. 1920 Jack’s sister, Rita went to China returned in 1921 and did medicine at Sydney Uni. 1927 Australian History Federal Parliament opened by Duke of York at the Commonwealth capital, Canberra. 1932 July 17 Constance (Venie) Wilcox died in England. 3 A currier is a person who dresses leather. 4 The leader of his tribe in St. Neots managing to get all the Gentry jobs. He specialized mainly in uniforms, livery for the Dukes of Manchester and Rutland. 9 “Admella”, a vessel remembered even today by old South Australians, because she struck the rocks in 1859, and only 24 survivors live to tell the tale out of 107 people on board at the time. Steamers passed close by, but did not notice the distress signals of those on the wreck who suffered intensely through lack of food and water. Quote from ? 10 Altogether George made 13 voyages between England and Australia and was joined at Adelaide by his brother Joseph. - Quote from ? His knowledge of the goods needed in the new colony enabled him, with the assistance of his father, to build up a large import business as well as to arrange the export of wool, hides and frozen meat to England. In 1899 he was the largest exporter of frozen lamb in Australia. He also practised farming and in 1908 George senior and partner owned the Koonamore sheep station with 40,000 sheep. 1,000,000 acres at Mannahill Waukaringa, S.A.
2 emus, some kangaroos, and a pingoe (or Pinkie). - Quote from ? 12 “City of Adelaide” a 3 masted composite ship with iron frame and wooden planking, 178’ long sailed from London to Adelaide for 23 years taking passengers, but also high valued cargo such as wool..The trip usually took 90-100 days days, but for some time she held the record for the fastest trip, being 65 days. - Quote from ? 14 Towards the end of 1880 he (Sidney) obtained his first employment with a firm of grocers for a few months, after which he entered the services of the old Commercial Bank of South Australia, in which he remained until 1887. He then went into the office of Messrs. George Wilcox & Co., and was the only clerk employed there at the time. 15 In his 20's George was sent from Adelaide to manage office of Wilcox Mofflin in …… Street, Sydney. Later big wool store and offices built at Glebe, then George Wilcox & Co. wool merchants. Bought grazing property near Harden with Murray called “Bojalana”. Not successful. Sold about 1914. Started a company to make bricks at Bondi (all sand dunes in 1912) but not successful. Very well thought of in Hide and skin trade and known as the ‘King of buyers’. 16After an absence abroad for two years Mr Sidney Wilcox returned to Adelaide, and occupied an office alongside of Mr Glen Legoe, and they proceeded to develop the big business from this end. Quote from - ? 18 Altogether he (George) made 13 voyages between England and Australia and was joined at Adelaide by his brother Joseph.